Transportation is often one of the most important (and confusing) items to get a handle on in a new city. In most cases waling is the best method to get your around the city of Granada. However, if you have problems climbing hills, your best option may be taking a bus when it comes to the Alhambra or getting to the top of the albaicin. 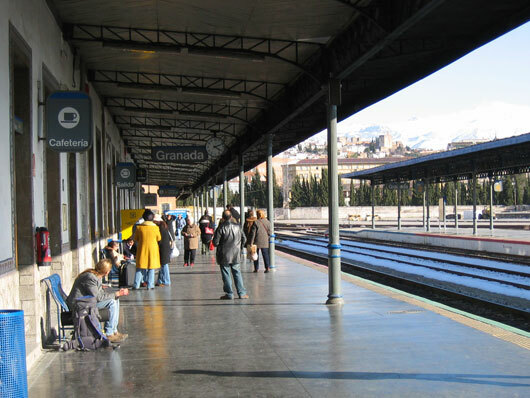 I'll cover the basics of inner city transportation, then review the best way to get to, and out, of Granada using regional transportation. I'll try and offer some helpful hints along the way. I should mention I prefer the train over the bus in general. And I shoudl also mention even if unrelated that the Granada airport has a very limnited amount of flights. Consider Malaga or Seville for a better choice of flights.